Hyperloop transit may be here sooner than we thought, as Elon Musk tweeted yesterday that he received "verbal" government approval to begin boring tunnels. On Thursday, Elon Musk, CEO of Tesla and SpaceX among others, announced to the public that he already acquired ‘verbal approval’ from the government to build a multi-state underground Hyperloop transit system. The alleged Hyperloop transit project would be run by Musk through his tunneling venture, The Boring Company, and it will connect major U.S. cities such as New York, Philadelphia, Baltimore, and Washington DC. Musk’s pronouncements caused a stir among various government agencies. According to The Guardian, several spokespersons from different states and federal government bodies laughed upon hearing the claim. The tech mogul’s announcement received different reactions from people that he gladly addressed through his Twitter account. Musk also encouraged everyone to let their local and federal representatives know about his project to expedite the process. “If you want this to happen fast, please let your local & federal elected representatives know. Makes a big difference if they hear from you,” one of Musk’s tweets read. Musk is considered one of the most aggressive technology innovators today. His business ventures span across different fields such as artificial intelligence, space exploration, and transportation. 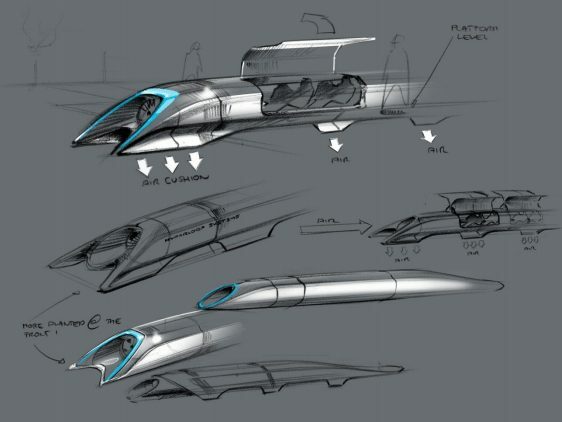 In 2013, Musk published the Hyperloop Alpha concept. According to Musk, the innovation will cut the travel time between San Francisco and Los Angeles to 35 minutes at a price of $20 for a one-way trip. He also added that the experience would feel like being on an airplane. Hyperloop makes use of low-pressure steel tubes where passenger capsules would travel through. According to the initial concept, the capsules or pods can zoom at high subsonic speeds that can reach up to 760 mph. The pods would be powered by magnetic linear accelerators that will be given periodic boosts by a built-in linear induction motor attached to the tube and pods. 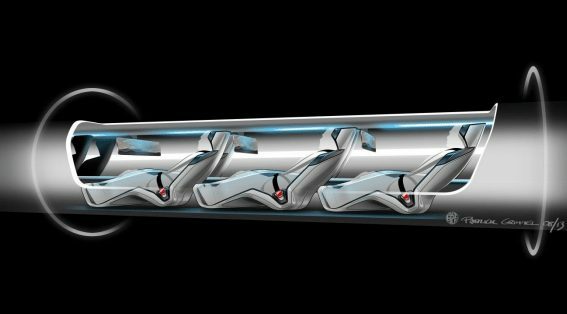 According to Musk, the journey would be frictionless due to a cushion of compressed air between the cars and the tube’s inner surface. Aside from that, the Hyperloop will be powered by solar panels that will enable it to generate more than enough energy for it to operate. Musk’s Hyperloop concept was adopted by several companies such as Hyperloop One. On May 12th of this year, the said company which was founded by Silicon Valley investor Shervin Pishevar conducted its very first full-scale Hyperloop test. The test was run at DevLoop, the Hyperloop test track built by the company in the Nevada Desert. During the test, the Hyperloop prototype was able to coast above the first portion of the track for 5.3 seconds using magnetic levitation. It also reached almost 2Gs of acceleration and achieved the Phase 1 target speed of 70mph. Aside from that, Hyperloop One also unveiled their first passenger capsule or pod prototype dubbed as XP-1. The pod is 28 feet in length and made of structural aluminum. As of now, Hyperloop One is developing Hyperloop system routes in the United States, Finland, Sweden, and the United Arab Emirates, with a goal of delivering a fully operational system by 2021. 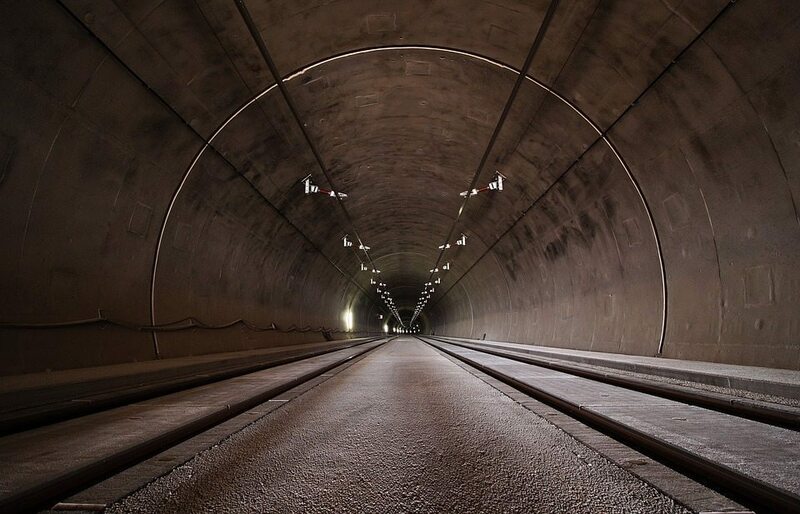 Do you agree with Elon Musk’s plan of building an underground Hyperloop transit system? Let us know in the comment section below!